Hatford. We'll stop at the new coffee shop in Standford-In-The-Vale, for our elevenses. Then we'll head back via Park Lane, passing through Denchworth, arriving in Grove for around 13:00hrs. I've cycled the route this week, checking for any issues, apart from pot holes, nothing too report!! The coffee shop at Standford are expecting us! Eleven hardy souls gathered at Old Mill Hall bracing them selfs for the windy ride which lay ahead. 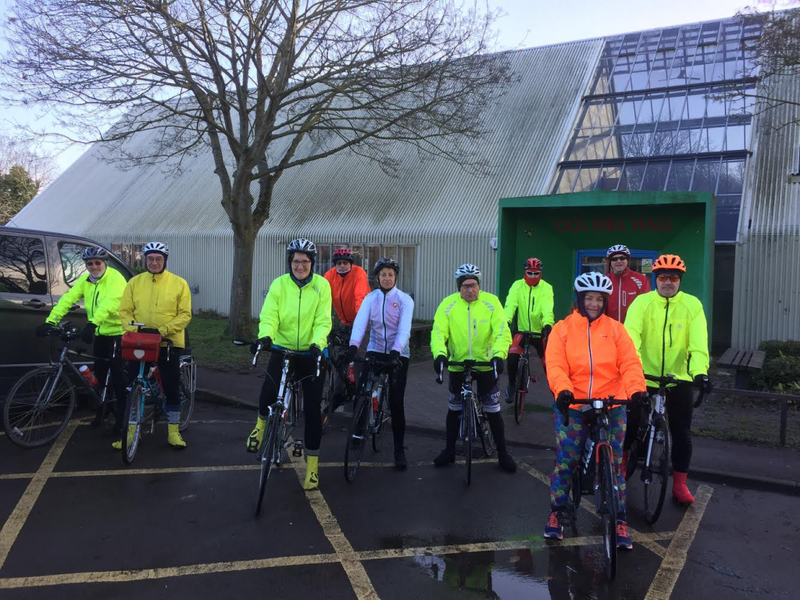 The first half of the ride was incredibly blustery, but as we cycled through the Vale onto the Springline the wind calmed down, which was a great relief for us all. We arrived at the coffee shop in Stanford for 11:30am.Service,food & drinks were excellent! We arrived back in Grove for spot on 13:00hrs. Hats off to everyone for managing the ride incredibly well.Great company!hope to see you all on another ride soon! Thanks to Nick for sweeping.